I am very excited to announce this summer I will be joining the eXXpedition crew as head of science on the North Pacific voyage. An all-female crew will sail the Pacific on a plastics research and awareness mission. 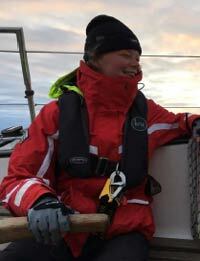 The team will be led by British skipper and ocean advocate Emily Penn. ExeterMarine are crowdfunding to support eXXpedition and student research into plastic pollution at University of Exeter. You can support us here. We are aiming to assess the scale of plastics – from large pieces to micro-plastics – in the north Pacific. one of our aims is to consider this in terms of important sites for post-hatchling sea turtles. We also want to raise awareness of the devastating effects of this pollution.